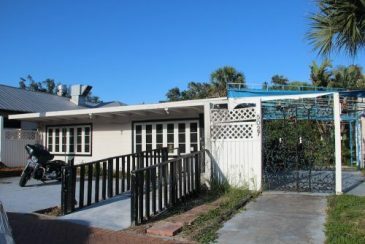 On May 22, the long-vacant property between the Old Salty Dog and the SunTrust Bank branch on Ocean Boulevard was sold for $600,000 to Judy A. Fryer of Sarasota, county Property Appraiser’s Office records show. Fryer also owns the site of the Old Salty Dog, which she bought in June 1992, the Property Appraiser’s Office records say. The seller of the 5027 Ocean Blvd. parcel was the Fledging Point Trust. The previous record for that land on the Property Appraiser’s Office website listed John A. Ericson as trustee. A search of the records of the Sarasota County Clerk of Court and County Comptroller found that the death certificate for John A. Ericson was recorded on May 22, the same date as the property transaction. The last establishment to open in the 5027 Ocean Blvd. space — a business that featured wine tastings — closed during the recession. Last year, the Property Appraiser’s Office records say, the market value of the property was $428,400. The land area is 5,000 square feet, with the building dating to 1957. Since November 2017, online county permitting records note, three inquiries were made regarding the zoning and parking regulations for the site. One, submitted on Jan. 4, was from a real estate agent who wanted to know what could be built on the site, that record says. On Jan. 31, Barry C. Seidel of American Property Group in Sarasota had listed the property for rent at a rate of $35.42 for a total of 1,360 square feet. People who paid close attention to the “For Sale” sign on the parcel have told the newspaper that it specified no restaurant could go into the space. However, when a question was posed about uses of the property to county staff, Mary Beth Humphreys, customer service manager in the Planning and Development Services Department, responded that the property is zoned Commercial General, and a restaurant is an approved use in that zoning district. “The County doesn’t have any stipulation about a restaurant on this parcel,” Humphreys added. The preliminary taxable property values released by the Sarasota County Property Appraiser’s Office in late May show the Siesta Village Public Improvement District’s value is up 7.29%, compared to the certified value last year. The preliminary report puts the total taxable value for this year at $72,814,878. The final property values will be released by July 1, according to state law, as local governments are at work on their budgets for the next fiscal year. The revenue from the special tax the property owners in the Public Improvement District pay is used for upkeep in Siesta Village.